Make a wish and let the 4 Kings Fortune Teller decide. You are given 4 cards. You start by flipping one of them, and unlocking the card on its board corresponding spot. Flipping the unlocked card will arrange the previous card on the right spot. 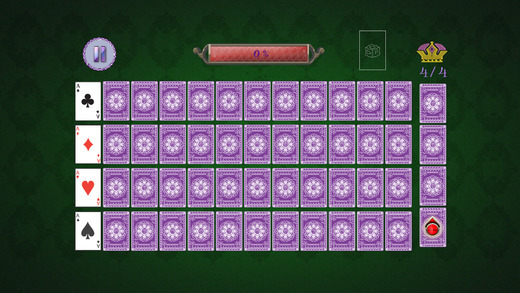 You must continue this until you arrange all the cards. 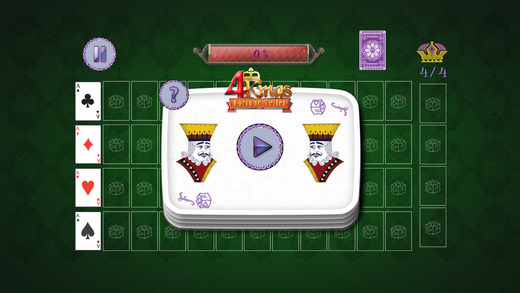 If you get kings you must flip another of your cards. 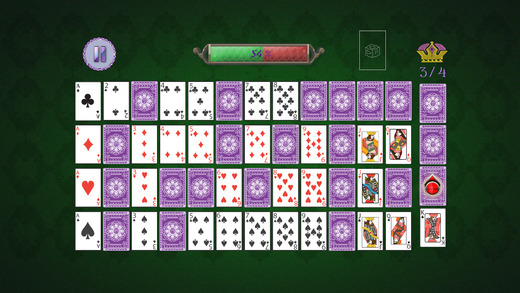 If you flip 4 kings before arranging all the other cards, the game will end. 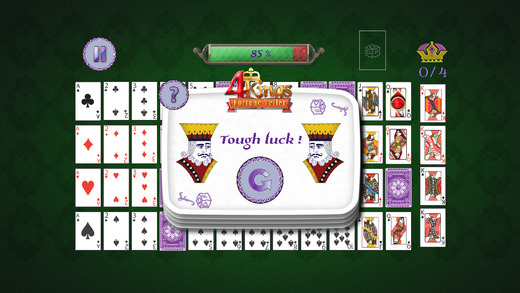 The more you arrange the cards before getting 4 kings, the more you are closer to your wish.